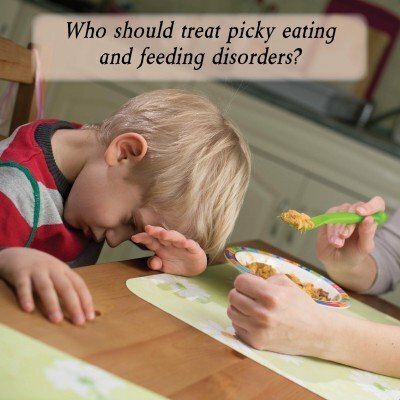 Who Should Treat Picky Eating and Feeding Disorders? The reason for this is because all SLPs are trained in the anatomy and physiology of the oral motor mechanisms making them “the expert” when it comes to the underlying mechanics of eating. They are also the experts in swallowing and swallowing disorders. In other words they know all about the mechanics of eating. What if your child is just a picky eater? If you have a “problem” or “picky” eater you may be thinking, “Well my child can chew and swallow just fine, so why would I see a Speech Language Pathologist?” That’s a fair question. The reason a SLP is the primary professional to treat picky or problem eating is because we are also experts in behaviorally based, and sensory based, feeding disorders. There is almost always a behavioral component that develops, and negatively impacts eating, whenever a child has difficulty chewing and/or swallowing. So SLPs who work with this population of children must have specialized training and knowledge in regards to behavioral strategies in order to successfully treat children with feeding disorders. What if the behavior is due to a medical problem? Sometimes these behavioral difficulties are a response to medical conditions, in which a trained Speech Language Pathologist is taught to recognize. When this happens the SLP will refer to a medical doctor for further evaluations. However, even when a medical condition is resolved, the behavioral feeding disorder may still exist and the child may require therapy to develop a healthy relationship with food. What sensory processing difficulties are causing the problem? Sometimes these behavioral challenges are a result of sensory processing difficulties in which a Speech Language Pathologist is also trained to recognize, and can work in conjunction with an Occupational Therapist to address. What if your child’s behavior is impacting other areas of his/her life? Sometimes behavioral challenges impact other areas of the child’s life. When this happens it can be helpful for an SLP to work in conjunction with a psychologist. For example, if a child has generalized anxiety that is impacting their eating along with many other aspects of their life, then a SLP and a psychologist should work together to help the child. What if your child suffers from nutritional deficits? Sometimes children who struggle with eating also have nutritional deficits. In this case a nutritionist should be utilized in conjunction with an SLP to make sure the child is getting proper nutrition while working to overcome the disorder. 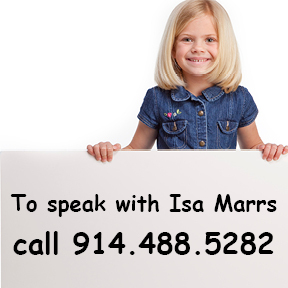 Can any Speech Language Pathologist help your child? I should point out that while all SLPs are trained in the anatomy and physiology of the oral motor mechanisms, not all of them work with picky eating or feeding. Many of them only work on speech and/or language disorders. And of those who do work with feeding and picky eating, there are different levels of expertise. So it is up to you to make sure that the therapist you work with has the right expertise to help your child. 5 of the therapists in my practice specialize in feeding/picky eating. And every day, we help children develop healthy relationships with food. Both local, and long-distance, picky eating/feeding services are available. So if you are ready to take the stress out of mealtimes, check out how my practice can help you here and here.